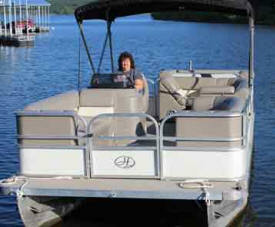 22' pleasure pontoon $140.00 (2 hour), $246.00 (4 hour), $336.00 (8 hour). Whether it be the scenic view, water sports, or a day of fishing, the best way to enjoy the lake is on one of our pontoons. You will enjoy relaxing with your family and friends away from all the hustle and bustle of every day life. 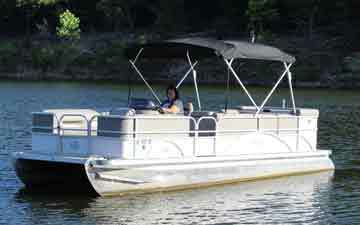 The Nemo Landing Marina offers the newest fleet of pontoons on the lake. so that you may have lunch on the lake. $400 token damage deposit required.